You will be a nice person with this too! 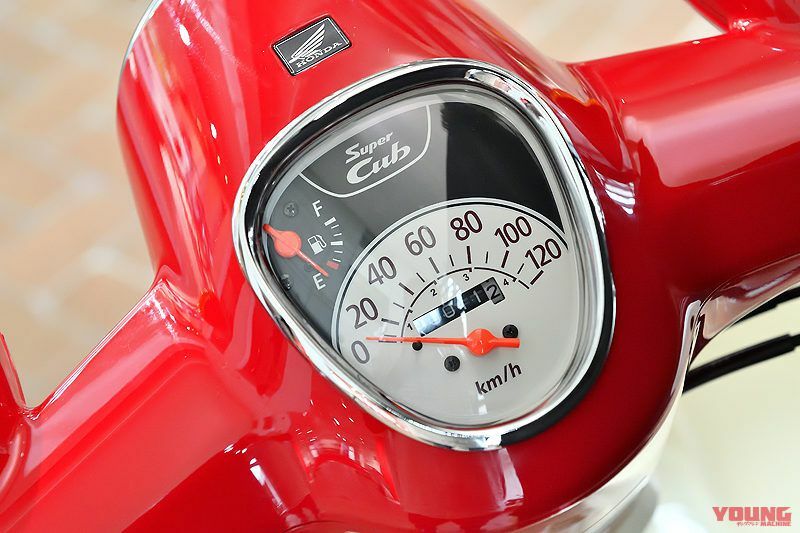 It is not long until we reach 60 years of the Honda Super Cub that appeared in August 1958. 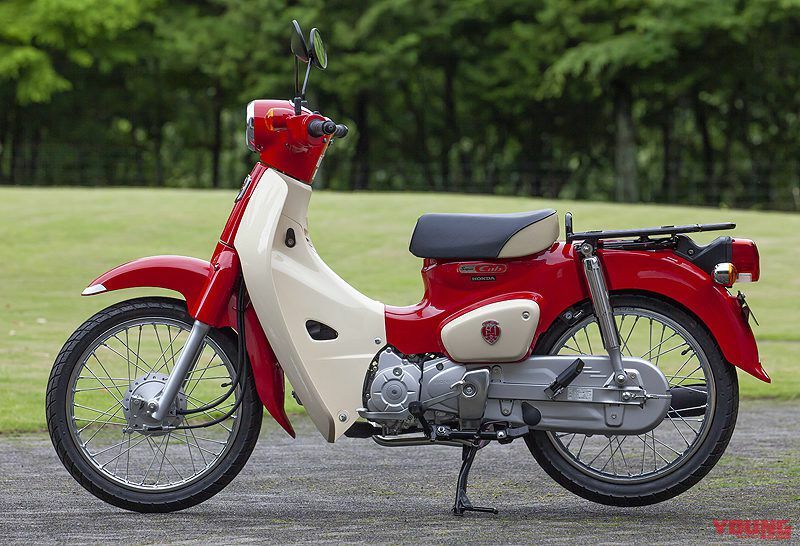 To commemorate this, a deep red “Super Cub 50/110 60th anniversary” celebration spec will be announced. 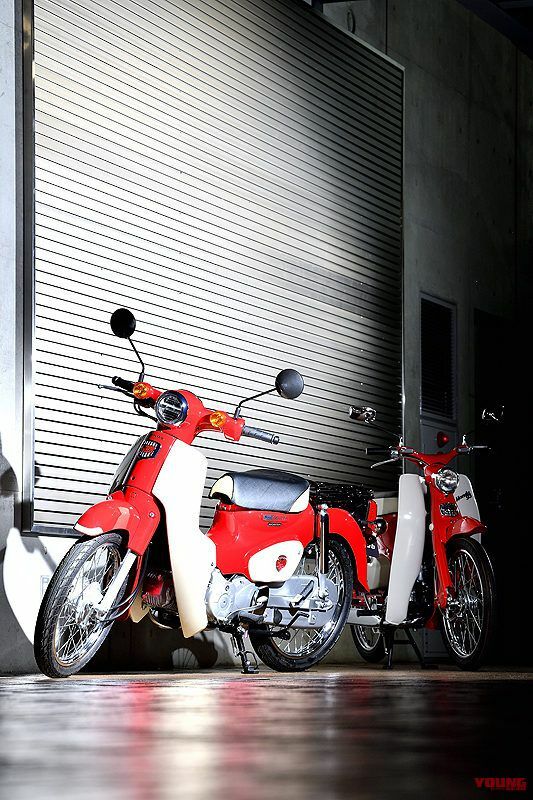 A premium spec Super Cub C125 based on the motif of the first generation Super Cub C100 will be announced and put on sale in September. There will also be one more special Cub introduced to celebrate the 60th birthday anniversary of the Super Cub. 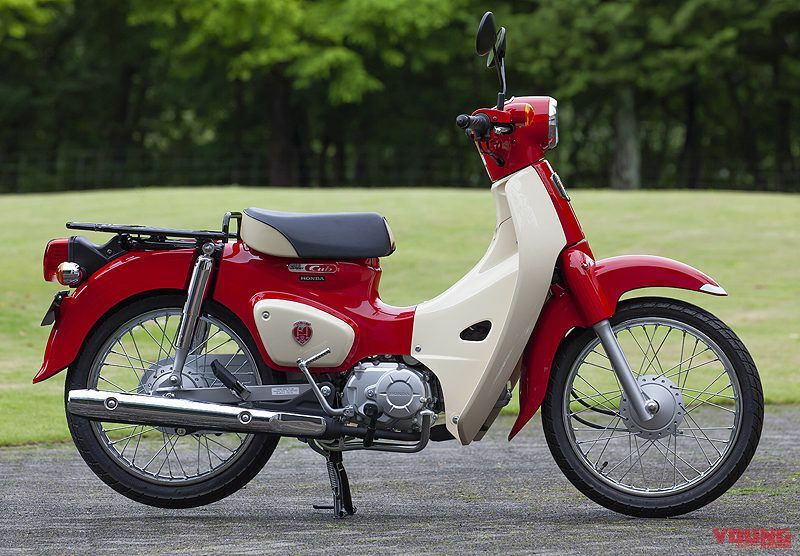 A “60th anniversary” based model based on the current Super Cub 50/110. The first things to notice at a glance is the fresh red and ivory two-tone colour. 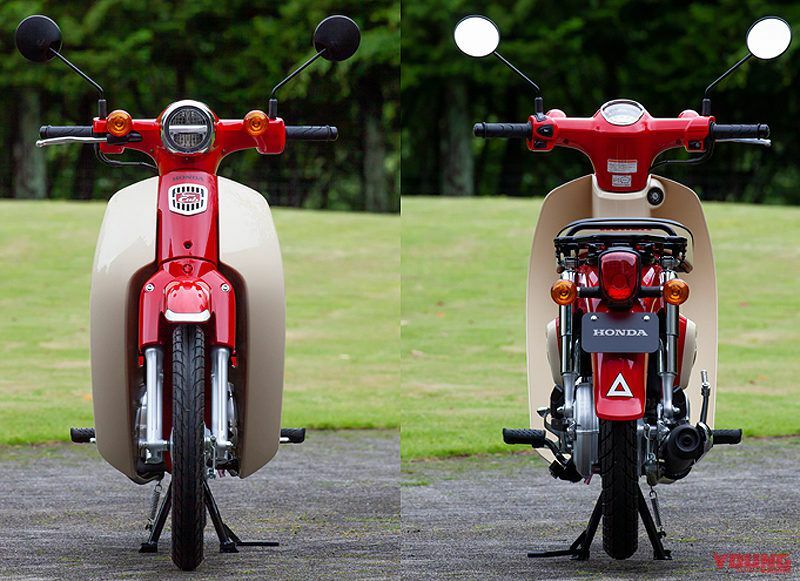 This is based on the first generation Super Cub CA100 model that was exported to North America. 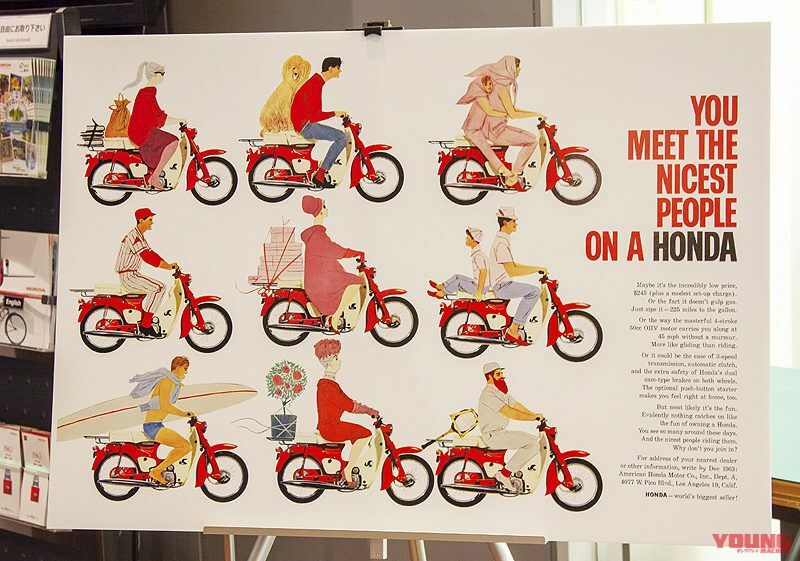 An expansion in advertisement began in 1963 with the catchphrase “YOU MEET THE NICEST PEOPLE ON A HONDA” that captured a dramatic amount of public interest, and so the CA100 changed the image of bikes in America along with the first generation C100, that make up the most legendary of the Super Cub series. Although the “60th anniversary” model isn’t equipped with the double-seat that is so characteristic of the CA100, the exquisiteness of the fabulous choice of colours produces that wow factor that makes you think “These look so fun that I gotta get my hands on one of these to have at home”. Let’s take a look at the points that have been changed from standard, other than the paint job. A chrome-plated surround has been added to the clock meter. It gives off that classic feel. 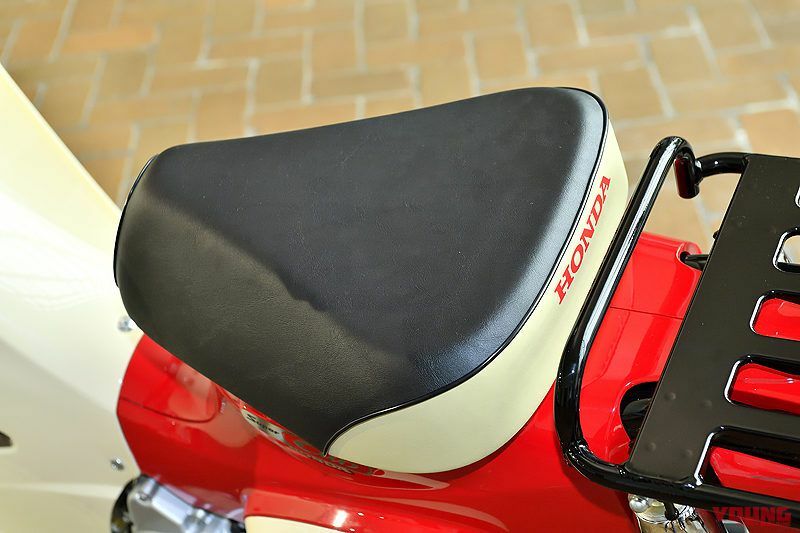 The seat is the same two-tone as standard, but the shade of white has been changed to ivory to match the leg-shield, and piping has been added, too. The red “HONDA” logo also gives off the CA100 image. 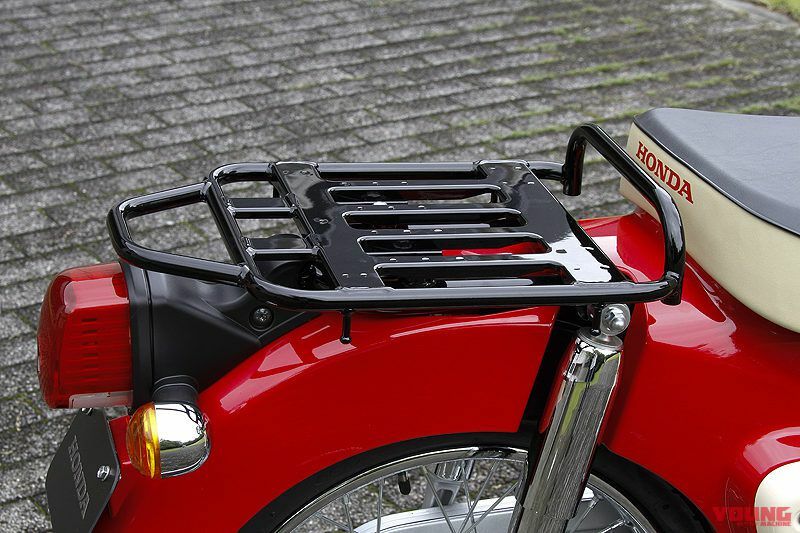 The standard-plated carrier rack gets a black paint job. Although it is the same as the Super Cub 125, having it in black lessens that business look, giving it a considerably more personal feel. The front emblem is given a red inner section. The plated lattice surrounding comes as standard at the front, but the 60th anniversary model will be finished with plating as far as the sides. The left and right side covers have a commemorative emblem attached showing off the 100 million (this figure was reached in October last year) machines produced and the 60th anniversary. The CA100 that was first exported in 1962. It used to be the case in America that the term “bike” would signify a hooligan, but the “Nicest people campaign” for this model succeeded in turning this image upside-down. Visual of the “Nicest people campaign” advertisement. 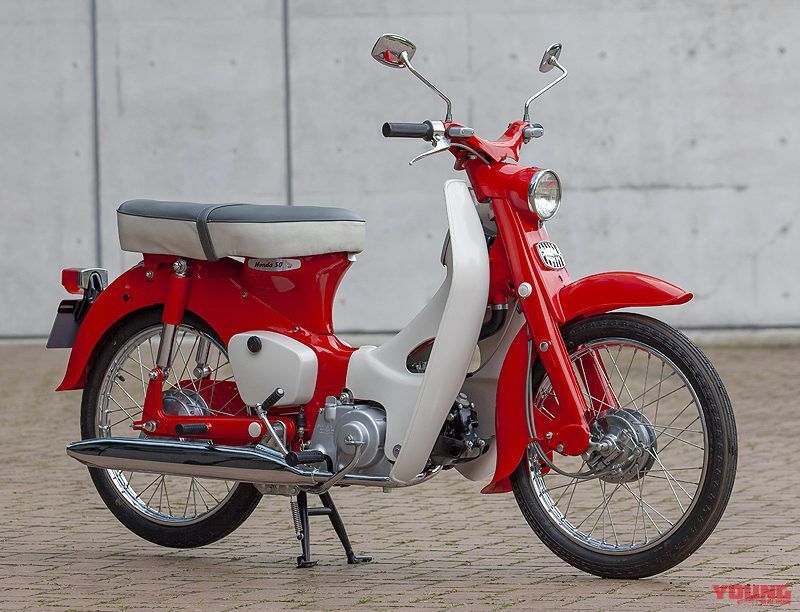 By making women and young people, who up until then disliked motorcycles, orientate themselves towards “Honda”, the Super Cub grew to become a massive commercial hit all over America. The signage is pleasing to look at even today. 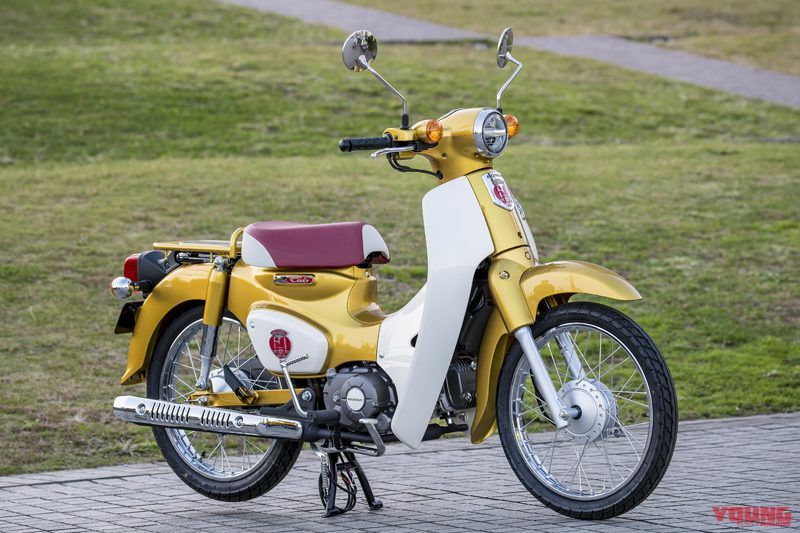 This is the specially made “Super Cub 110, 100 million commemorative model” that reflects the 100 million machines that have been made and the 60th anniversary, exhibited at the 2017 Tokyo Motor show. It has a gold body with a red seat, and dark grey engine casings that give off a nice ambience. The emblem of this bike makes another good use of the “60th anniversary” celebrations. Will it be announced at the 60th anniversary event on August 1st? 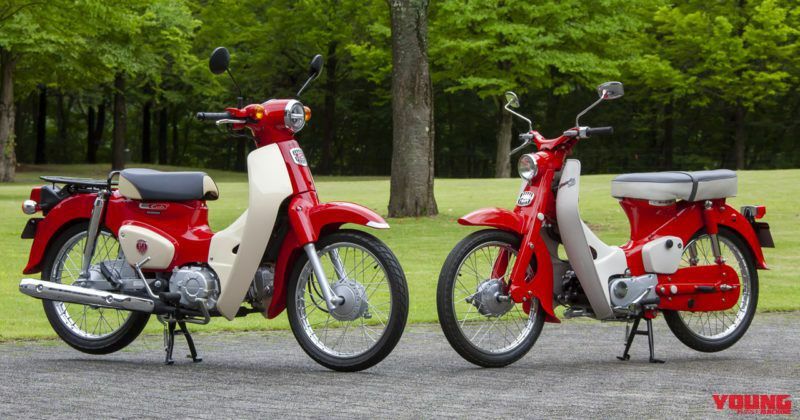 It is only natural that the creation of both the special Super Cub 50 and 110 mean that they will not go into the normal catalogue, as they are bound to be sold as limited edition. It’s likely that the price will be a few hundred dollars more than the current model price (50: approx $2070 / 110: approx $2450). 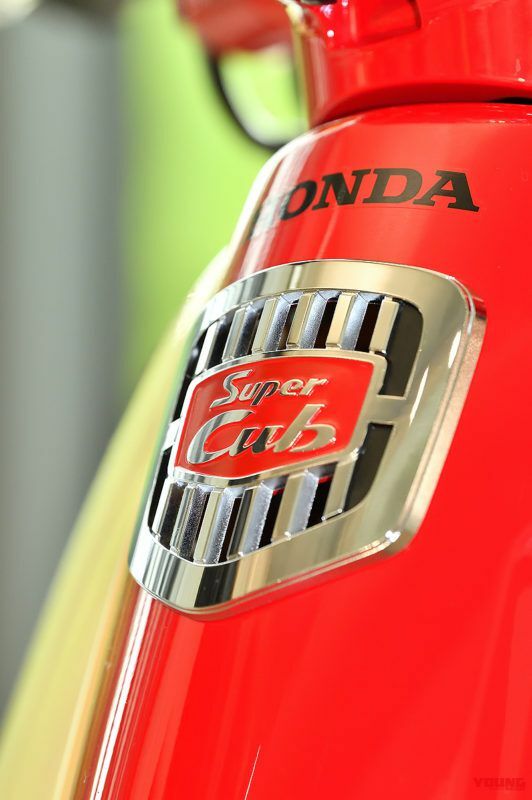 To celebrate the 60th anniversary of the Super Cub, Honda will be holding a “Super Cub and wonderful friends” special exhibition on the first floor welcome plaza at its main branch in Aoyama, Tokyo from 1st (Wednesday) – 24th (Friday) August. 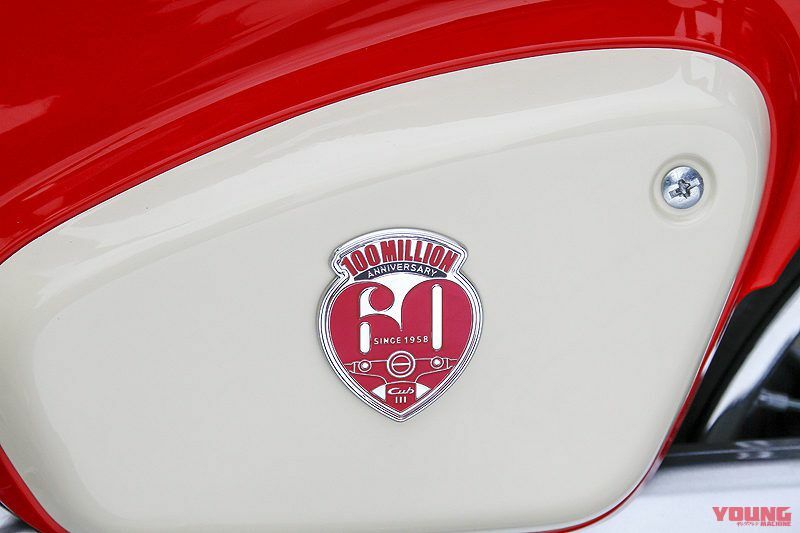 Of course the actual bikes will be there, and products will be exhibited that mark reaching the 60th anniversary of the Super Cub. It is also planned that there will be Showa era made goods to enjoy taking in, and a talk show will be held on the first day. The official unveiling of the “60th anniversary” bikes is bound to take place at the event. Such details as the pricing and so on will be established soon.